You’ll probably eat about 3,000 meals during your time at college (never mind the countless cups of coffee and snacks along the way). So, while food isn’t the only thing to consider in a school, it’s important to know you’ll have plenty of nutritious and delicious options to fuel you through.  With six different dining venues around campus, Gordon partners with Bon Appétit to offer a generous variety. Using a “Farm to Fork” program, Bon Appétit shares Gordon’s commitment and passion for sustainability, fresh and locally-sourced food, and nutrition and wellness. We also pay special attention to dietary restrictions, so no need to worry if you’re vegan or gluten-free; we’ll work with you to make sure you have delicious options that fit your needs. Founded in 1987, Bon Appétit works with private institutions around the country, including many well-known colleges in New England and peer schools in the Council for Christian Colleges and Universities. Their award-winning approach allows Gordon to enhance the breadth and depth of its offerings. Bon Appétit’s food is cooked from scratch with a “Farm to Fork” program ensuring that ingredients are sourced directly from local, owner-operated farms, and only serving seafood that meets the Seafood Watch sustainability guidelines, and humanely raised ground beef. Meals cooked from scratch by passionate chefs. “From scratch” means everything, from stocks and sauces, to salsa and pizza dough. Seasonal and local ingredients. Those are more than buzzwords—they’re the cornerstone of every menu. We source as many ingredients as we can from small, owner-operated farms and fisheries within 150 miles of campus. Not only does local food taste better, but we like to support the community. Ingredients sourced in an environmentally and socially responsible manner. Bon Appétit began making commitments to sustainable and ethical practices long before it became trendy. We serve only cage-free, certified humane eggs; dairy and milk produced without synthetic hormones; sustainable seafood; and pork, poultry and ground beef raised without routine antibiotics—and that’s just a sample of our commitments. We’re always evaluating our practices to find new ways to make our food system, and your dining experience, better. Practices that are better for the planet. From pioneering waste reduction and food recovery practices to committing to a low-carbon lifestyle that, so far, has reduced our companywide carbon emissions in the highest-impact areas by 25 percent, we’re committed to continuous environmental stewardship. Surprises! We don’t want you to get bored, so we’re always trying out new recipes and ideas. (Honestly, we’d get bored if we cooked the same thing every day, too.) Have ideas? Talk to us! We want to hear from you.